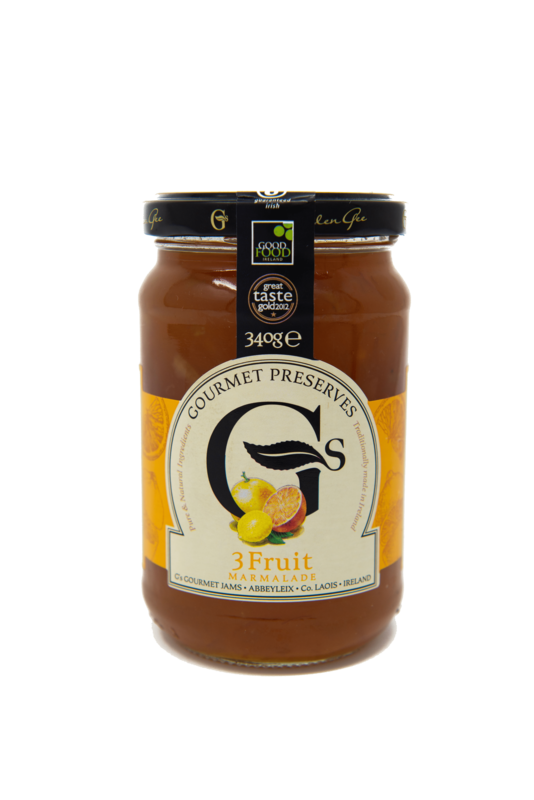 The bright and tangy combination of the three juicy citrus fruits in this 3 fruit marmalade make for an ideal accompaniment to various meals. It is made using all natural ingredients with no artificial flavourings or additives. It is gluten free and suitable for vegetarians. Add to your slice of hot buttered toast or swirl into your yoghurt with some oatmeal for the perfect start to any day!